Show the current status of your Website to your visitors in a decent way by using this extension. 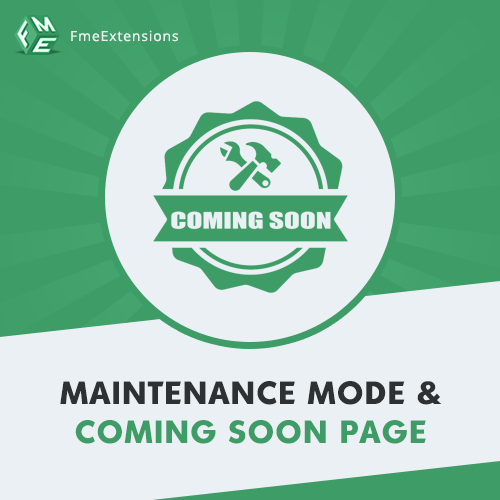 This extension allows you to display a Coming Soon or Maintenance Mode that clearly inform the visitors about the Site current Status. You can also enable the email subscription form, Social Links, add background media and allow IP addresses to Whitelist Users. The Whitelisted Users will be able to bypass and Browse the site for testing. Convert your Website visitors into Registered User or E-mail Subscriber.Y our Subscriber will get email notification when the Website is Live. Customize the maintenance Mode Page to prevent from being disappointed your Visitors while your Website is under Maintenance Mode. 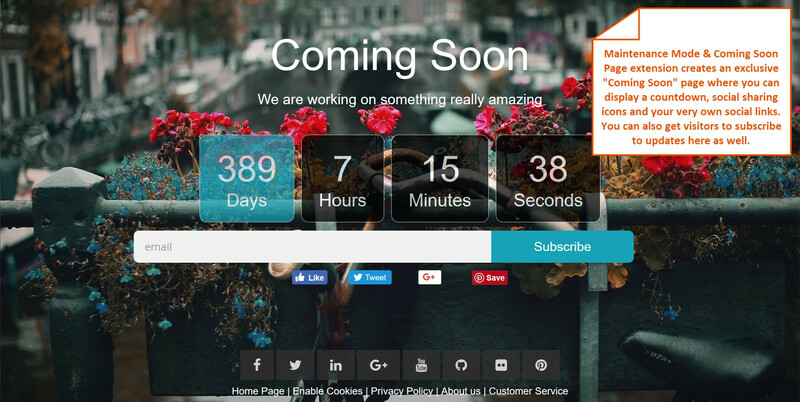 Show Count Down Timer to let them know when the Website will be Live. You can give access to certain users by adding their IP addresses from the Backend. Display Social Media Links on your Coming Soon Page to engage them on Social Media Pages. Option to Allow Visitors to Access CMS Pages When you are working on your Website, let your Visitors get access on your CMS Pages.